In the FY 2014-2015, we have started manufacturing of Plastic Twin wall and Multi wall corrugated sheets at survey No. 265/266, Block No. 290, Plot No. 8 to 17, B/1, and 265/ 266, Block No: 290, Plot No. 18 to 23, B/1 Moje: Pipodara, Dist: Surat. In the FY 2015-16, our company have started exporting our products to various countries viz U.A.E, Myanmar and Oman and also enhance our production capacity by installing additional machinery for manufacturing variety of products especially Polypropylene (PP) Corrugated Plastic Rolls which is an extruded 3ply and 5ply (GSM from 275GSM > 1000GSM) fluted PP corrugated plastic sheets consisting of two / multi flat walls connected by vertical ribs. 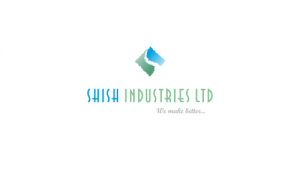 Shish Industries IPO allotment status is now available on Bigshare Services' website. Click on this link to get allotment status.